Threats posed by adaptive radars to electronic warfare systems are a colossal challenge for the U.S. Navy, but a combo of advanced signal processing, intelligent algorithms, and machine learning techniques are being developed to help warfighters detect and counter them. Electronic warfare (EW) systems – whether on land or aboard U.S. military ships and aircraft – tap the electromagnetic spectrum to sense, protect, and communicate. But, when necessary, these same systems can be turned against adversaries to deny their ability to disrupt or use radio, infrared, or radar signals. Today’s EW systems tend to rely on databases of known threats with predefined countermeasures, which can limit their ability to quickly adapt and respond to new advanced threats. Soon, these systems may increasingly be tasked with isolating unknown hostile radar signals within dense electromagnetic environments and responding quickly with effective electronic countermeasures. Threats from adaptive radars aren’t necessarily new, according to Joe Ottaviano, director, Electronic Warfare, for Lockheed Martin (www.lockheedmartin.com), but are challenging for EW systems to detect. BAE Systems (www.baesystems.com), another defense contractor working within the realm of adaptive radars, was recently awarded a $13.3 million contract by the U.S. Defense Advanced Research Projects Agency (DARPA) to extend its work on the Adaptive Radar Countermeasures (ARC) project, with the goal of enabling airborne EW systems to counter new, unknown, and adaptive radars in real time. Cognitive EW technologies developed by BAE Systems for the ARC project rely on advanced signal processing, intelligent algorithms, and machine-learning techniques. Adaptive radars, for starters, shouldn’t be confused with “unknown radars,” both of which cognitive EW addresses, as John Tranquilli, technical director for signals and communications processing at BAE Systems, points out. Radars are currently evolving away from fixed analog systems – which aren’t easy to add new capabilities to – toward digitally programmable variants that can easily add or change to unknown behaviors with agile waveform characteristics. “This challenge will increase the prevalence of ‘unknown radars’ and lead to truly adaptive radars,” Tranquilli continues. Adaptive radars, which pose an even greater challenge, can sense their environment and design transmission characteristics on the fly to maximize radar performance. “This allows a radar to have new waveforms – or new pulse processing – for every transmission, whether it’s improving target resolution or mitigating interference effects,” Tranquilli says. The objective of cognitive EW “is to enable EW systems to autonomously characterize these threats, automatically generate effective countermeasures against them, and monitor the effectiveness of our countermeasures so we can adapt our techniques if they’re either ineffective or if an adaptive radar attempts to adapt around our responses,” he adds. What role are machine learning and artificial intelligence (AI) playing in adaptive radars? There’s already a “fair amount of intelligence built into the new operational systems such as SEWIP,” Ottaviano says. For its part, AI can be “a loaded term,” Tranquilli cautions. “Typically, it refers to systems that attempt to have algorithms replace the functions a human would perform in an operation,” he adds. But Tranquilli thinks there’s likely “a place for AI in the near future of cognitive EW, because as threat environments become more contested and complex, it can help reduce the mental load on pilots and planners.” This is “autonomy,” a field in which BAE Systems is an active player. Interestingly, in terms of the hardware involved, Lockheed Martin is finding that a commercial off-the-shelf (COTS) open-architecture approach allows a rapid insertion of new capability to continually improve the ability and performance of the SEWIP Block 2 system. 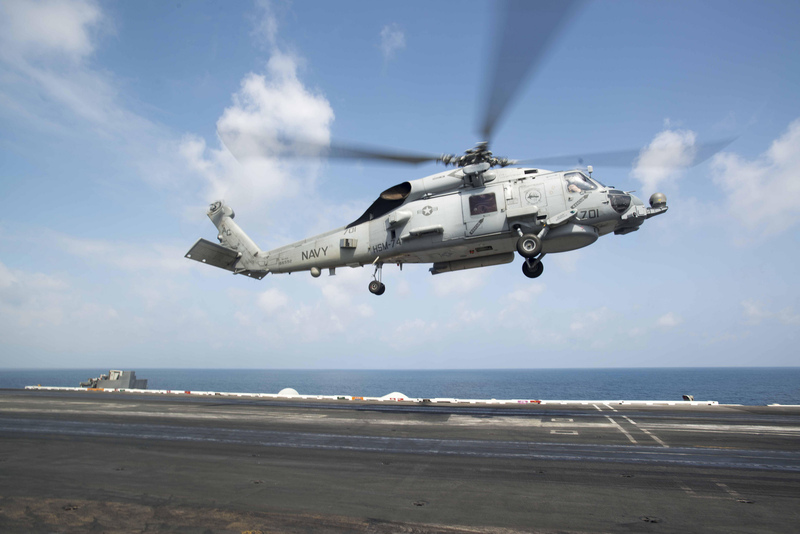 Figure 1: A U.S. Navy MH-60R Seahawk helicopter attached to Helicopter Maritime Strike Squadron (HSM) 74 lands on the flight deck of the aircraft carrier USS Harry S. Truman (CVN 75). (DoD photo by Mass Communication Specialist 2nd Class Lyle H. Wilkie III, U.S. Navy/Released)]. As part of it, they’ve developed a system – known as the Advanced Off-Board Electronic Warfare Active Mission Payload (AOEW AMP AN/ALQ-248) – that is essentially a self-contained EW pod hosted by an MH-60R or MH-60S to provide the Navy with advanced anti-ship missile detection and response capabilities. It’s designed to work independently or with the ship’s onboard electronic surveillance sensor, SEWIP Block 2 AN/SLQ-32(V)6, to detect incoming missiles and evaluate where they’re going. AOEW then uses RF countermeasures to deter any incoming missiles. “Our system will help create a coordinated attack against these threats to keep our warfighters safe by controlling the electromagnetic spectrum and disrupting adversaries,” Ottaviano says. The basic concepts of cognitive electronic warfare (EW) fall into one of three categories: signal analysis and characterization, countermeasure response design, and countermeasure effectiveness assessment, according to BAE Systems’ John Tranquilli, technical director for signals and communications processing. Beyond DARPA’s ARC program, BAE Systems is working with DARPA on other projects to bring advanced “adaptive” algorithms to the RF domain. This includes the Communications in Extreme RF Spectrum Conditions program, the Cognitive Spectrum Sensing component of the Computational Leverage Against Surveillance Systems program, and others. During the past decade, his group – Signals and Communications Processing, within the Technology Solutions Business Area of BAE Systems’ Electronic Systems – has focused on “bringing the combination of domain knowledge and adaptive algorithm expertise needed to architect and implement these concepts for existing and future electronic systems,” Tranquilli says.